Boost visibility and safety in low light with night running lights. 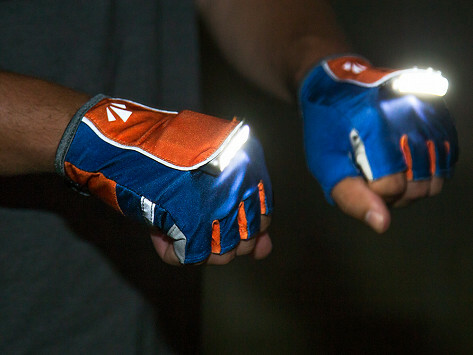 Inside each glove, a rechargeable LED shines a 135-degree radial arc of light up to about 30 feet ahead of you. 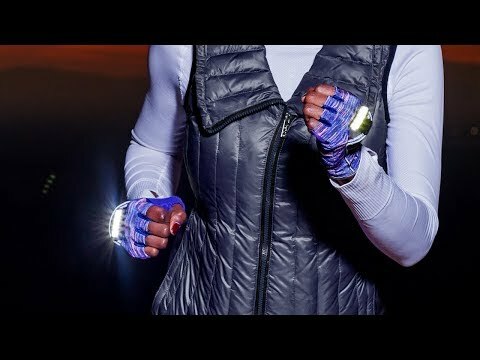 The fingerless design is a comfy, easy addition to your routine—whether you’re out for an early morning jog, an after-dinner dog walk, or on your evening commute. Dimensions (in packaging): 6" x 4" x 1.5"
Tey're a great gift for runners!